We need some way to compare the relative “values” of the foods we eat. For instance, what if the #Food and Drug Administration required restaurants and food manufacturers to put an “exercise equivalent” on menus and food labels? Instead of calories, they would tell you how long you’d have to exercise to burn off what you’re about to eat. Just think about the implications. Knowing that we have to walk for 14 hours, roughly 43 miles, in order to burn off 1 pound of fat — well, that would certainly discourage me from eating. After all, it’s much easier to imagine passing up a day of overeating ice cream, #chips and fried chicken than it is to see yourself walking 43 miles. And when would be the perfect time to launch this new food label? 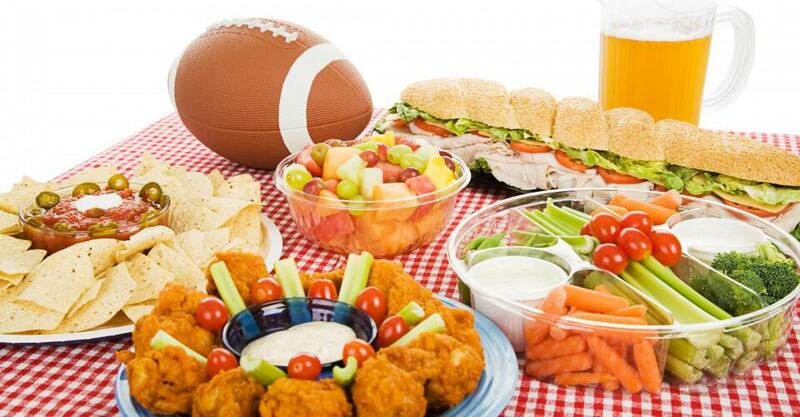 How about the biggest snacking event of the year — the #Super Bowl? The following will give you an idea of the exercise equivalents for some of your favorite Super Bowl snacks. To make seven-layer dip — perfect for dipping tortilla chips — refried beans are layered with guacamole, seasoned sour cream, veggies and cheese. That’s some serious calorie damage! Every time you dip into this combination, you’re looking at about 10 minutes of climbing the stadium stairs (based on 60 to 70 calories per ounce, depending on the recipe, plus one restaurant-style chip, which has about 22 calories, for a grand total of almost 90 calories). Diet Pro: Use light or baked chips and switch to salsa — 2 tablespoons have only about 15 calories. Diet Pro: Avoid the cracker altogether and cut up small squares of low-fat cheese — you really won’t notice the difference. In fact, you would probably eat cardboard if someone put it in front of you during the game. You’re looking at pasta, mozzarella, creamy ricotta, meat and other assorted high-calorie goodies. A 9-ounce portion (which is pretty large) has about 500 to 700 calories, again depending on the ingredients used. 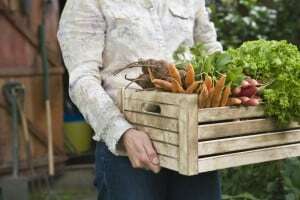 Diet Pro: Skip the meat, cut back on the cheese and bulk up on extra vegetables. Two handfuls of chips — about 2 ounces — have about 300 calories. Oh, and if you add just 2 tablespoons of onion dip (about 60 calories), you’ll be running another nine football fields. Diet Pro: Make homemade pita chips with margarine spray, or try Low Fat Kettle Chips and save more than a few football fields. Use plain non-fat yogurt instead of sour cream to mix up the dip. Diet Pro: Try cheeseless pizza with plenty of veggies — broccoli, spinach, tomatoes, zucchini, mushrooms or even artichoke hearts — on top. Or go for thin-crust pizza with vegetable toppings instead of meat and extra cheese. Also, avoid personal pan and stuffed-crust pizza: The thick, oily crust equals added fat and calories. While nuts are a good source of “healthy” fat and protein, they are packed with calories. Beer nuts have about 170 calories per ounce, which is just about a handful. Diet Pro: Munch your heart out on Kashi, Cheerios or some other delicious low-cal cereal. You’re talking serious calories here — 85 per tortilla chip, mainly because it’s topped with beef, chili sauce, refried beans, melted cheddar, tomatoes, sour cream and guacamole. Diet Pro: Use reduced- or non-fat cheese, baked chips, non-fat refried beans and non-fat sour cream. A cup of chili packed with beef, beans, peppers, onions and other assorted vegetables comes to about 350 calories. A blob of sour cream and some shredded cheese adds 150 calories or more, for a grand total of 500 calories. Diet Pro: Replace the beef with ground turkey breast, or make the chili vegetarian. Top it with non-fat sour cream and cheese. It’s about 140 to 160 calories per drumstick — not bad if that’s all you eat. But keep in mind all the fat you get from deep-frying. Diet Pro: Make grilled chicken breast strips in the oven using cooking spray and some spices. Serve with a ketchup dipping sauce. You think it’s easy? With the stress, pacing up and down the sidelines, waving your arms and screaming, coaching pro football takes its toll. But in the end, you’re still only burning one 70-calorie Oreo Double Stuf for 15 minutes. Note: These activities would only be necessary if you’ve exceeded your recommended daily calorie allowance based on your height and weight.